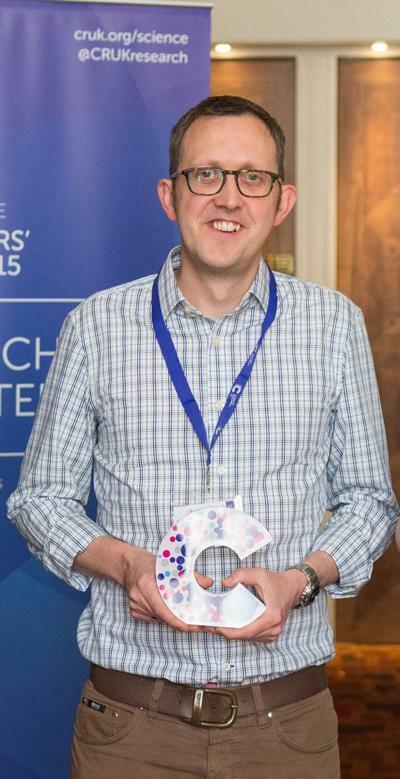 Dr Edd James, Associate Professor in Cancer Immunology, has received a national award from Cancer Research UK in recognition of his outstanding work to raise awareness about research. The Inspiring Leader in Research Engagement Prize honours an individual or teams from Cancer Research UK Centres who have demonstrated significant commitment to public engagement. Dr James won the award after showing unfailing support, time and energy to get members of the public involved in science and research. 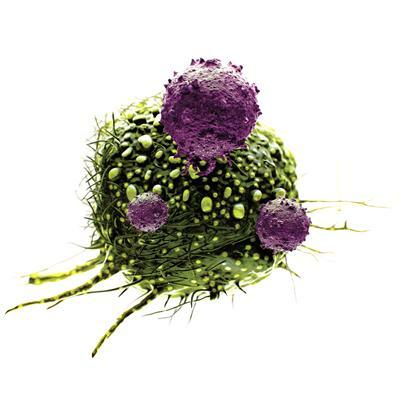 He is investigating how immune cells can be trained to recognise and attack cancer and how an enzyme found inside cells may protect against certain types of cancer. Among other things, Dr James led the way by building smart phone microscopes in his garage in his spare time to allow his science to reach and open up conversations with a far wider audience. Similar smart phone microscopes are now to be used nationwide. Hannah Wardropper, Cancer Research UK Southampton Centre’s research engagement manager, nominated Dr James for the award. She said: “He is one of the key drivers behind our public engagement success in the city has made a fantastic difference to our relationship with supporters, his peers and to Cancer Research UK. “Dr James always looks to raise the bar for research engagement in Southampton. His absolute commitment to sharing his own research and that of colleagues has set a fantastic example. “He supports each project with gusto and motivates others at the centre to get involved. Hannah credited Dr James with the fact his research colleagues were the most active at Cancer Research UK researched-related events. “From volunteering weekends and evenings for open days, lab tours and MP visits, Dr James always makes time for supporters, patients and Cancer Research UK staff to ensure we can share the best research in an inspiring, accurate and relevant way. Hannah added: “This great example of his initiative and creativity is testament to his commitment and belief in the importance and relevance of research engagement. Helen Johnstone, Cancer Research UK spokesperson for Hampshire, said: “Our pioneering work into the prevention, diagnosis and treatment of cancer has helped save millions of lives.